The Ultimate Laboum Profile 2016 - OH MY KPOP! She was born on May 19, 1995. Herein is a vocalist of the group. She was born on August 19, 1997. Solbin is the lead vocalist and rapper of Laboum. Her height is 52 kg. Solbin appeared in Brown Eyed Girl’s “One Summer Night” music video. She was born on February 14, 1992. Yujeong is the leader and lead vocalist of Laboum. Her weight is 42 kg. She was born on November 27, 1997. Yoolhee is the maknae of Laboum. Yoolhee appeared in U-KISS’s “Standing Still” music video. She was born on May 4, 1994. Soyeon is the main vocalist of the group. Her weight is 44 kg. She was born on June 9, 1994. Jinye is the lead rapper and lead dancer of the group. 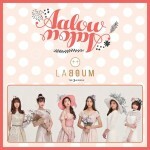 Laboum are managed by NH Media and Nega Network. They debuted on August 28, 2015 with their first album Macaron. The group used crowdfunding to make their new video in 2016. We will add more Laboum facts over the coming weeks. 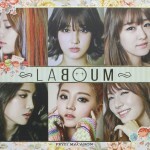 Is there anything that should be on this Laboum profile page? Let us know in the comments. Find Laboum tour dates and events in your neighbourhood. We published this Laboum profile to give you a place where you can find everything about your favourite Kpop girl group. Who is your bias?